"Job Completed Quickly Clean Friendly"
"Turn Up On Time, Explained Everything, Polite, Great To Deal With." "Very Polite, Straightforward Guy, Did The Job." 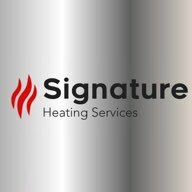 "Friendly, Explained Things, Quick, Flexible"
Need a Heating Engineer or Plumber in Bromsgrove?